Future Retail, the retail arm of Kishore Biyani-led Future Group, plans to increase the penetration of small-format stores, said CP Toshniwal, Executive Director, Future Lifestyle Fashions and Chief Financial Officer of the company. 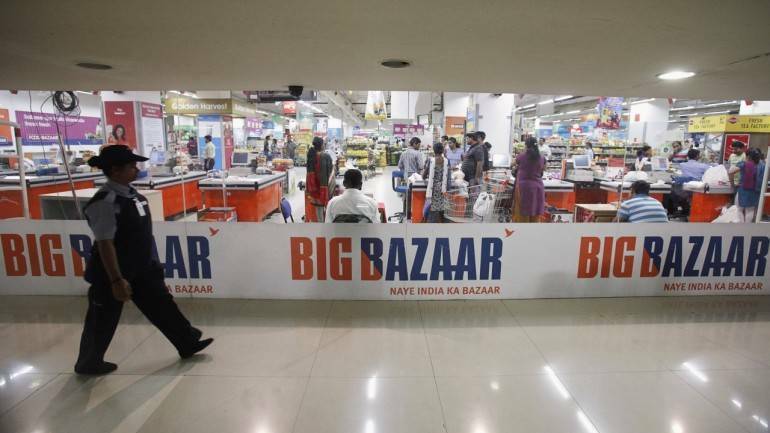 Toshniwal also said the company is planning to open 20 Big Bazaar stores which are their flagship stores having the highest penetration across the country. Future Retail is currently opening 2 stores a day and plans to open almost 100 small format stores in the current year. "Right now we are opening 2 small format stores a day; next month onwards we would increase the pace and open 3 stores a day," Toshniwal said. Small format stores are Easyday, Heritage, and Nilgiri stores owned by Future Retail. Toshniwal was speaking on the sidelines of Retail CFO Summit 2018 hosted by Retailers Association of India held in Mumbai today. He said the company's overall business is expected to grow at 20 percent in FY19. Speaking about the 10 percent stake that Kishore Biyani-led Future Retail is looking to sell, Toshniwal said, "FPI (Foreign portfolio investor) route of up to 10 percent is open for a listed player like us. Also, there is a lot of interest in the retail sector. A foreign player coming in will help grow the business faster." According to reports, internet search giant Google, American e-commerce giant Amazon, and Alibaba-funded Paytm Mall are all reportedly queuing up for buying a stake of up to 10 percent in Future Retail. Future Retail posted a profit of Rs 11.3 crore in 2017-18 on sales of Rs 18,478 crore. It expects its online sales to hit Rs 1,000 crore next year. The company has its footprint across over 300 cities through 1,035 stores.